Each version of Photoshop comes with new features that let you work smarter instead of harder, but old editing habits are hard to break—especially if you’ve been using the program for a long time. Here you’ll find a roundup of some common editing mistakes and how to avoid them. Here you can see all the layers in this image. When you color-correct on one layer, zap blemishes on another, whiten teeth on another, and so on, you can back out of any edit, anytime you want, even after closing the document. You can lower the opacity of individual edits to make changes look realistic (crucial in portrait retouching), and by using adjustment and fill layers, you automatically get a mask that lets you hide layer content from parts of the image. In fact, the first 16 commands in the Image > Adjustments menu are available as super-safe adjustment layers (choose Layer > New Adjustment Layer), wherein the change occurs on a separate layer that you can control. Adjustment layers also make it easy to duplicate an effect onto another image—simply drag and drop relevant layers into another open document. In a pinch, duplicate the original layer and edit it instead. Instead of adding an image layer and filling it with a solid color, gradient, or pattern, use the Layer > New Fill Layer command. How is this exciting? Let us count the ways: You can double-click the fill layer’s thumbnail in the Layers panel to reopen the Color, Pattern, or Gradient Picker in order to experiment with other colors, patterns, or gradients. The fill layer automatically resizes itself to match canvas size changes. 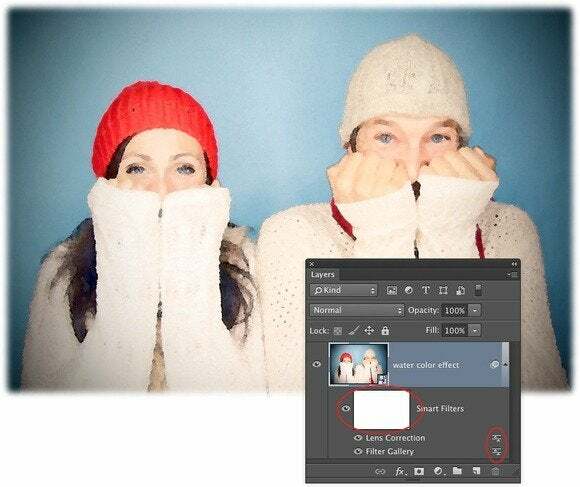 And fill layers comes with a mask that lets you hide the fill from parts of your image. Instead of merging or flattening layers to use paint, heal, clone, the Fill dialog’s Content-Aware option, or Content-Aware Scale, use the Stamped Visible command. Alas, some tools and commands—like paint, heal, clone, content-aware fill, and content-aware scale—only work on single layers. If your document consists of multiple layers, resist the urge to merge or flatten. Instead, use the Stamped Visible command to create a stamped copy, by pressing Shift-Option-Command-E, or by holding Option as you choose Merge Visible from the Layers panel’s fly-out menu. 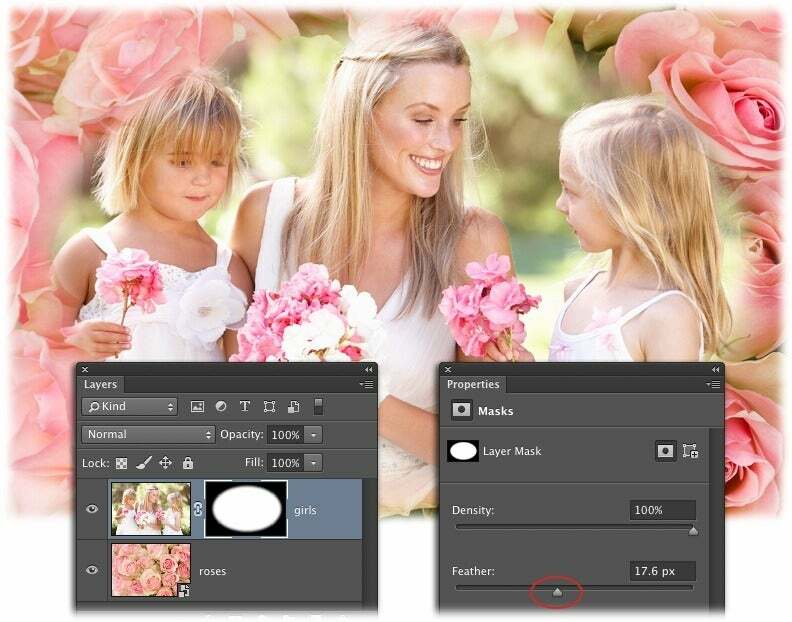 This combines all visible layer content onto a brand-new; just drag it to the top of your layer stack and edit away. To apply a single layer mask and drop shadow to the Options bar screenshots used in figure 2 of this column, the mask and style were applied to a layer group instead of individual layers. To add a single layer style or mask to multiple layers, you can use layer groups or sandwich ’em into a smart object, instead of merging or flattening those layers. 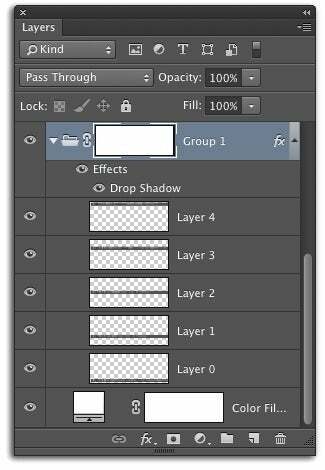 Either way, activate the layers and then, to create a layer group, press Command-G and then add the style or mask to the group. To create a smart object, choose Layer > Smart Object > Convert to Smart Object and then add the style or mask to the smart object. To run filters on multiple layers, or to run filters safely on a single layer, activate the layer(s) and choose Filter > Convert for Smart Filters. 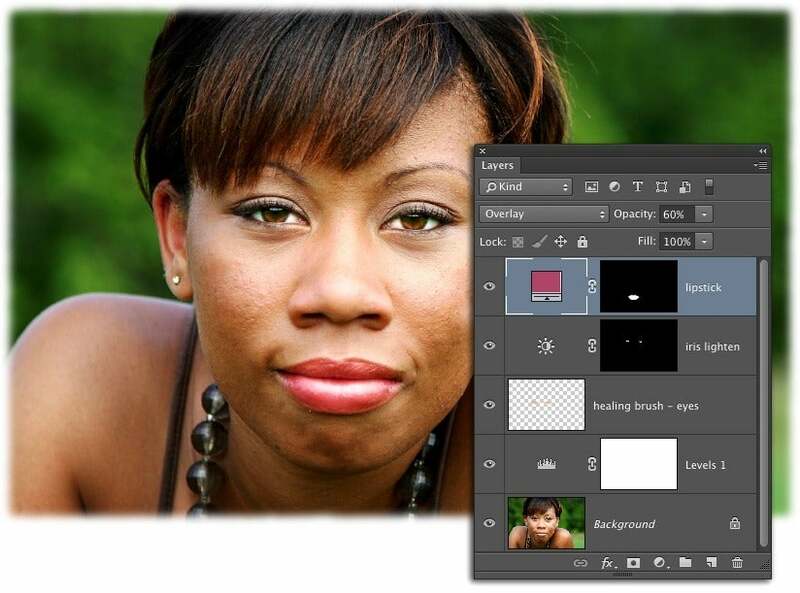 Photoshop sandwiches ’em into a smart object, which you can open by double-clicking. This maneuver protects your original, lets you reopen the filter for more editing (double-click its name in the Layers panel), hide the filter’s effect from parts of your image (use the included smart filter mask), change the filter’s blend mode and opacity (double-click the icon to the filter’s right in your Layers panel to open the blending options dialog), or delete it. The Properties panel’s masking settings include a Feather slider that lets you perform non-destructive, adjustable feathering. If you’re trying to create a soft selection—say, for a soft oval vignette collage—create the selection and then add a layer mask. In your Layers panel, double-click the mask to open the Properties panel and drag the Feather slider rightward for pure, nondestructive feathering on the fly. Omnipotent as it may seem, Photoshop isn’t suitable for everything. If you’re setting tons of text or creating multi-page documents, use a program like Pages or InDesign. Likewise, as this article explains, it’s far easier to perform some edits in Lightroom, another part of Adobe’s Creative Cloud.